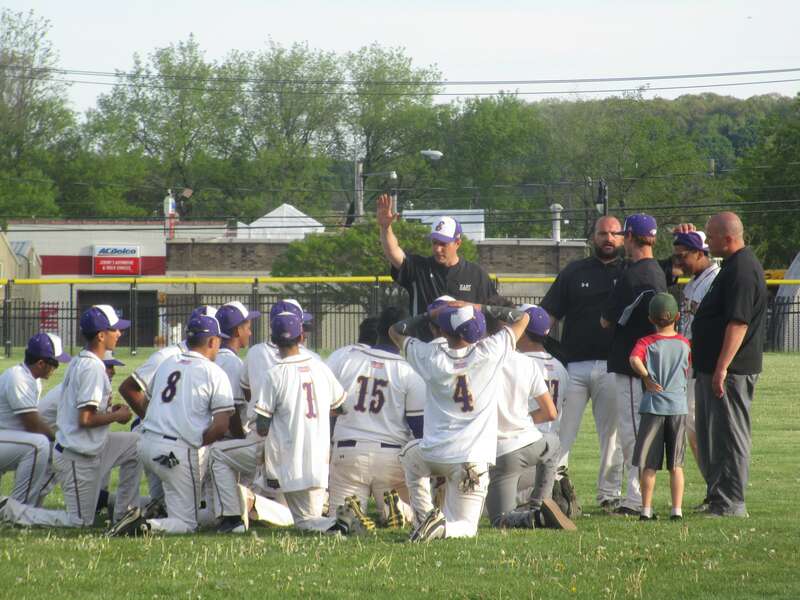 The 15 years we’ve been coaching, 81 percent of our kids who have ever worn a varsity baseball uniform have graduated. Knowing that (graduating) sets them up for success after high school … is something that’s really important to me. As good as East’s winning percentage has been on the field, that 81% and growing is really Crandall’s bottom line for a winning season. I knew Crandall cared three years ago when he provided me with a thoughtful and entertaining trip report when East baseball took its show on the road to Pittsburgh. Then, upon our request, Coach Crandall offered his 2015 RCAC preview. Then, upon our request, a 2015 season review. Then the 2016 preview, upon our request. Then another lively road trip report — this time to Cincinnati. Give that man a Pulitzer! 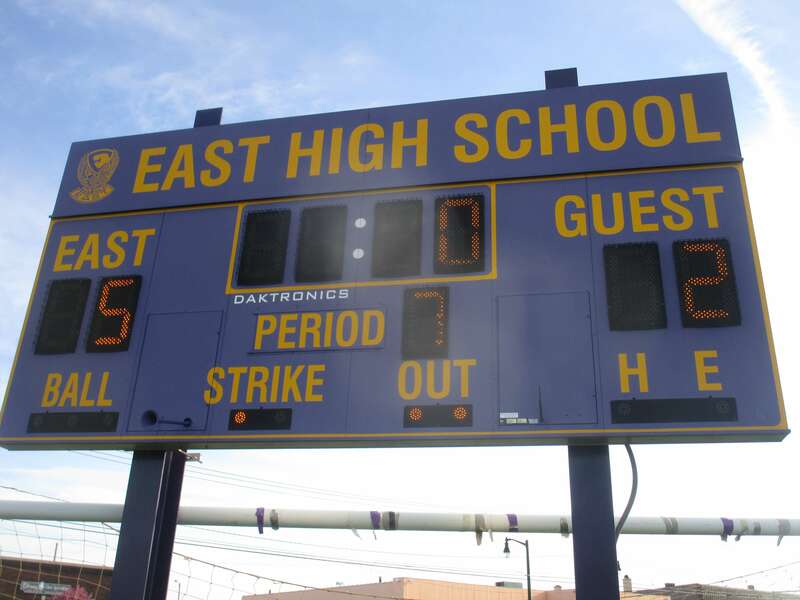 Last week, in East’s sun still shining, we wrote about East’s 5 – 2 win over Churchville-Chili in the first round of the sectionals. On Tuesday East was scheduled to play Penfield at 4:30. But I had a problem. I had to umpire two softball games at Brighton Town Park starting at 6pm so could watch only the beginning of the baseball game. Then another problem. Arriving at the East field, I saw only a few fans. Where was everyone? The paper has said Penfield at East but here was a modified game, East v. McQuaid. Alas, I had too quickly skimmed the D & C notice. The game was at Pittsford Sutherland High School. 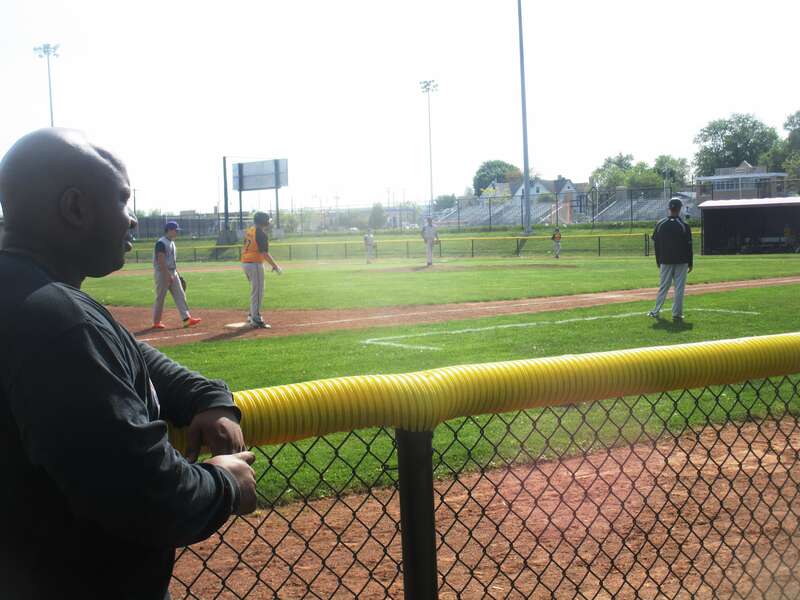 At the modified game, however, I was fortunate to meet East’s 8th grade Social Studies teacher Quinton Mithchell. Quinton said East had sent a few bus loads of fans to Pittsford, but he had stayed behind to watch some of his students in the modified game. Sports not only provides our students with added responsibility but also shows them what they do in the classroom directly translates to the field. You can’t have one without the other. No doubt Quinton’s students appreciated his presence cheering them on. The softball games are now over. I’ve decided not to check the internet or watch the late news for the East v. Penfield score — instead reverting to the old fashioned way: reading about it in the morning paper. From 1974 to about 1980 — when my allegiance switched to George Brett and his Royals — I was an avid Texas Ranger fan. Back in the 70s you couldn’t buy the radio broadcast of every single MLB game for only $20 at MLB.com. I would try to pick up Ranger games on a huge powerful radio. Some summer nights you could hear staticy announcers from as far away as Minneapolis. Often I didn’t know the final score — or the score at all — until ritualistically running to retrieve the morning’s D & C. Heightening the suspense, I devised a system using notecards in which I uncovered each half inning one by one. I can imagine what Coach Crandall said after the game at Pittsford Sutherland. If a win: don’t be late for practice. If a loss: congratulations on a great season. Now graduate.